Shawna Caspi with Keith Parker opening! Shawna Caspi performs solo, but there’s a whole band under her fingertips. 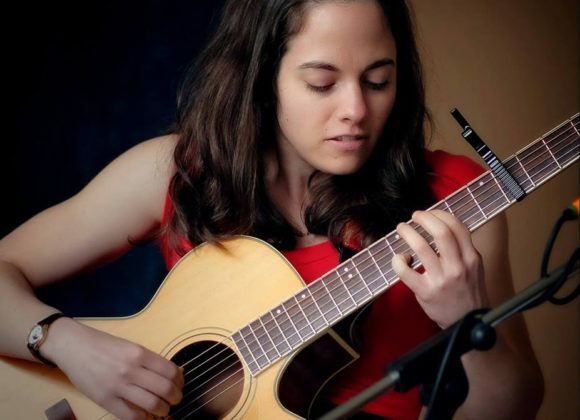 A mighty singer, a story sculptor, and a truth teller, she has toured across Canada and the USA and believes in poetry and the power of one person and one instrument, accompanying herself with a remarkable lyrical fingerpicking guitar style. Shawna loves the landscapes of her travels and while weaving them into her songs, she has also been portraying them on canvases, painting one-of-a-kind works of art inspired by the rich scenery she sees on tour.